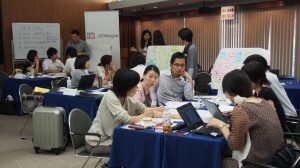 On July 1 and 3, 2014, over forty Japanese nonprofit leaders from twenty-six NGOs participated in the TOMODACHI NGO Advocacy Workshop. The first session opened with leadership training for eight co-facilitators. In the following session, they led eight strategy groups in how to advocate on diverse issues – children’s understanding of nuclear radiation risks in Fukushima, Japanese development assistance, peace building in Afghanistan, gender equality in Japan, Japanese NGO funding, health water and sanitation, creating awareness for Post Millennium Development Goals, and increasing education on sustainable development. The groups planned advocacy strategies to tackle local and global issues. The idea for the TOMODACHI NGO Advocacy Workshop developed from the Japanese delegation to the 2013 InterAction Forum through the TOMODACHI NGO Leadership Program supported by J.P. Morgan. The delegates recognized the need for more advocacy and interaction between nonprofit organizations in Japan. TOMODACHI organized the workshop to fill this need. 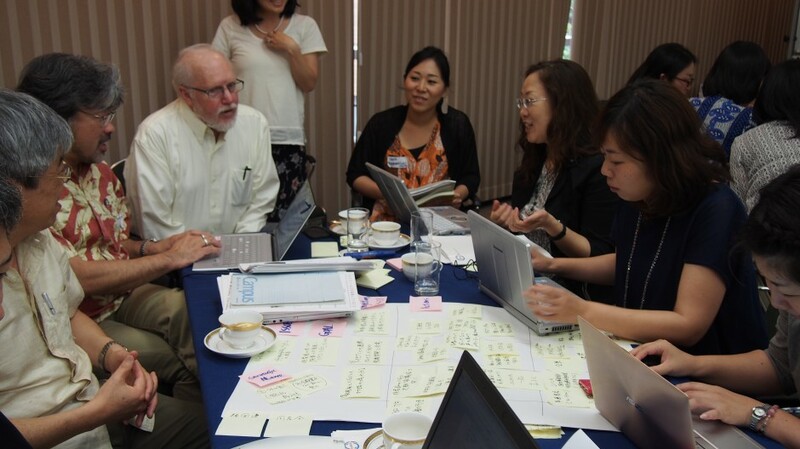 As a part of the TOMODACHI NGO Leadership Program supported by J.P. Morgan, the TOMODACHI NGO Advocacy Workshop was co-hosted by Japan Platform, JANIC, GCAP, and Mercy Corps and facilitated by InterAction Director International Advocacy John Ruthrauff from D.C.